Attract numerous colorful hummingbirds to your yard this year with Hummingbird Supplies from Lochte Feed & General Store in Fredericksburg, TX! 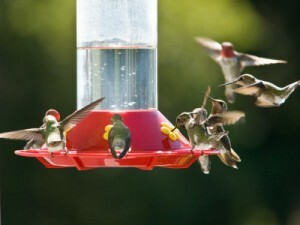 Lochte Feed carries a variety of feeders and nectar to attract these beauties to your yard. 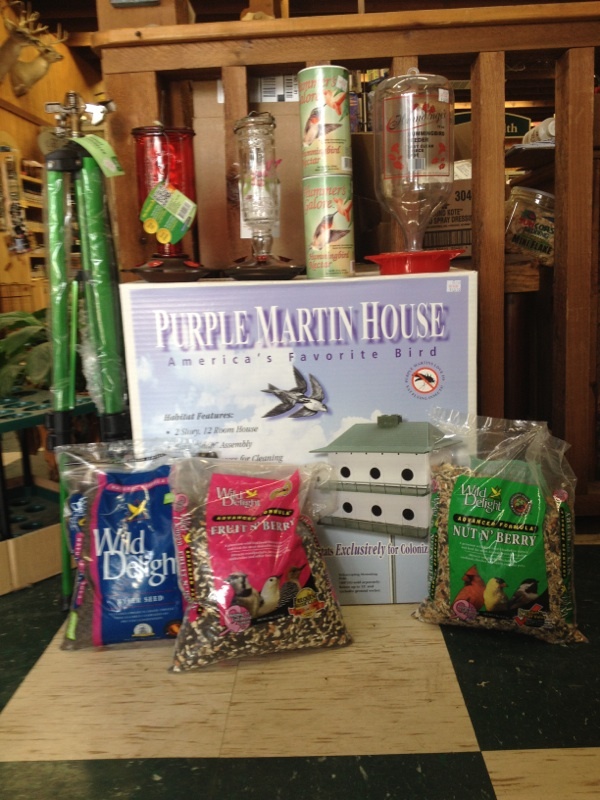 Purple martin houses and a large selection of bird seed is also in stock. More than most birds, hummers need to bathe regularly, due to the sticky nature of nectar. They prefer very shallow, moving water, or a spray mist. Placing nesting material near a feeder may attract female hummingbirds to nest near you, so you will be more likely to see them during the 5-7 weeks they are brooding or caring for their young. “Hummer Helper®” is a practical nesting material and is available at many bird stores and garden centers. Hummer nests are often re-used, wholly or in part. Leave a nest in place; it is illegal to possess a nest or any part of it without a permit. Hummingbirds don’t use “birdhouses” for their nests, because they are not cavity nesters. Hummers return to sites where they found good food supplies the year before. Give them a reason to come back to you! Stop by Lochte Feed and General Store in Fredericksburg, TX for all your wild bird and hummingbird supplies this Spring! This entry was posted on Tuesday, March 21st, 2017 at 3:13 pm	and is filed under Bird, News & Updates. You can follow any responses to this entry through the RSS 2.0 feed. Both comments and pings are currently closed.